Hello there! I’ve not properly introduced myself yet, but I’m Lois and I’ve recently joined the team at Juicy. Due to my age, I fall into the ‘millennial’ category. I’m not sure about being labelled, as we’re quite a diverse bunch, but we do have some things in common… like how we react to different marketing methods. You may be thinking us millennials are notoriously hard to please, but don’t believe everything you read, we’re not all that bad! And we are a strategically important sector for you to target too. Digital Generation, Millennials, Generation Y: however you refer to my demographic, we’re a growing consumer group unlike any other. As digital natives, millennials have grown up with the internet and (admittedly) we have high expectations from businesses. As the millennial generation grows and evolves, the way we acknowledge marketing is changing too. As a millennial, I spend a great amount of time online and the brands I consume can exploit this. By actively putting yourself in my path, the interactions and experiences I could have with your brand would help form my overall perception. And I’m not just talking ‘Social Media’, but it’s a great place to start. 78% of millennials are looking for experiences over tangible items*. This is absolutely fundamental: by offering experiences, you are able to give something another brand can’t, putting you in our good books! An experience doesn’t always have to be a huge event, offering sneak previews to new items and services, behind the scenes exclusives, all come together to form positive experiences. Along with experiences, millennials seek engagement from brands. In fact, 62% of us said that if we get engagement, we’re more likely to become a loyal customer**. Remember, everything is an opportunity for engagement: if a negative experience is well resolved, your brand could be viewed in an even more positive light because of the care and effort taken to fix the issue. Let’s face it, consumers can make or break the reputation of a business in an instant, it’s important to always engage! It’s well known that millennials rely upon reviews from their peers before purchasing or using services from a business, by engaging with your users, you can help to form the strong relationships to secure those recommendations. Linking back to those unique experiences, we love personalisation. If a millennial is offered something which is rare, or something nobody else has, it will hold a higher level of personal value and hold a stronger connection, which will again boost our perception of your business. 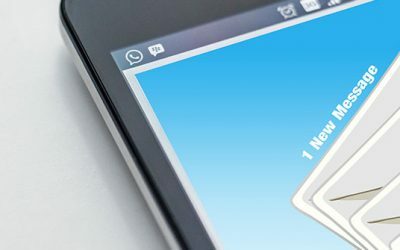 Personalisation could be to do with your products, services or experiences, but it can be much simpler: how about personalising your direct email marketing by using the recipient’s name? It shows us you’re consciously focusing on us. Now I did say there would be 3, but let’s have one more, just for good luck! As well your service needing to be tailored and personal, we need it to be convenient. We’re always on the go and our purchasing habits reflect this! If your transaction process is lengthy or unenjoyable (even a right pain! ), then we’re likely to abandon you and go look for something easier and more welcoming. Until next time, remember… we millennials spend a great deal of time online, we seek unique experiences, engagement, personalisation and convenience from the brands we consume. In turn, we will become loyal brand ambassadors and recommend you to our fellow digital natives. See, it’s not a lot we’re asking for! For help with marketing to millennials, give us a call on 01256 335622 or email diane@juicymarketing.co.uk.